Dextrous raps, sensual R&B and literate pop all rub shoulders in a “poll of polls” to find the top 10 albums of 2017. 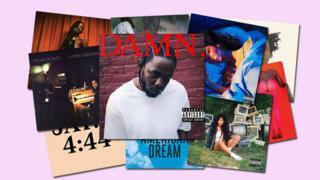 The BBC looked at 30 of the “best of 2017” lists in music’s most influential publications – including the NME, Rolling Stone, Vice, Billboard and Q Magazine – to find the highest-ranked albums of the year. Read about the Top 10, and what the critics had to say about each of them, below. Kelela Mizanekristos‘ ambition for her debut album was to discover “the place between Bjork, Sade, and Beyonce”. It’s a goal she achieves – the shape-shifting R&B of Take Me Apart is both familiar and challenging, as the 34-year-old deconstructs the emotional mechanics of a break-up, from devastation through recrimination to the blossoming of a new love. 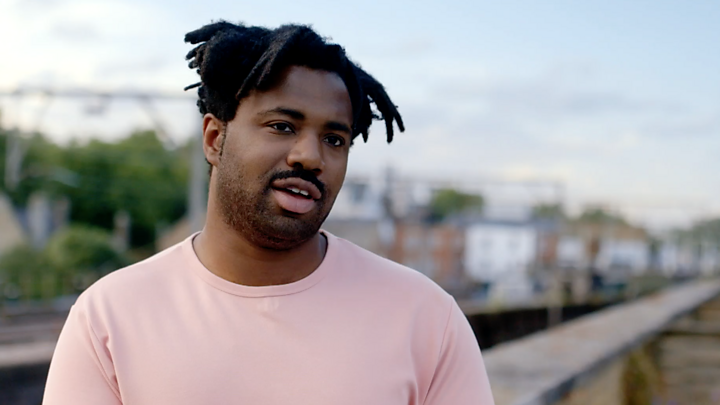 A sonically adventurous patchwork of analogue and digital soul, Process was written as London-born singer Sampha Sisay processed the grief from his mother’s death. His anguish is palpable throughout – and nowhere is it more moving than on (No One Knows Me) Like The Piano, where he reminisces about the keyboard she taught him to play as a five year-old. Tortured soul Mike Hadreas started his recording career as Perfume Genius in 2010, recording candid ballads about growing up gay, isolated, confused and bullied. No Shape lets the light in. Full of lavish, rococo string arrangements and buoyant melodies, it finds the singer shedding his anxieties and settling down. “Did you notice, we sleep through the night?” he sings on Alan – a song dedicated to his lover, Alan Wyffels. In which Jay-Z did something no-one expected: He apologised. A partial response to Beyonce’s rage on Lemonade, it finds the star as vulnerable and introspective, as he candidly confronts his infidelity. Elsewhere, he dispenses financial advice and makes repeated calls on black American culture to do more to support black Americans. Clocking in at a brisk 36 minutes, it’s still his most complete, most satisfying album in years. After 2014’s Lost In A Dream became a surprise hit, Philadelphia’s War On Drugs were signed to Atlantic Records – but their first album for the label shows no signs of compromise. The first single, Thinking Of A Place, stretches out over 11 minutes, with ambient synths and echo-drenched guitars drifting in and out of view like the lover who “vanished in the night” in Adam Granduciel’s lyrics. But as big as the songs get, there’s always a ear-catching detail or haunting melody to draw you in. We have David Bowie to thank for this one. LCD Soundsystem made an emphatic goodbye in 2011, but when frontman James Murphy played percussion on Bowie’s Blackstar, the musician persuaded him to do things that “make you uncomfortable”. “It’s an incredibly sad album,” St Vincent told the BBC of her fifth album, Masseduction. “Quite manic and painful.” It’s also her most accomplished – all seedy glamour, giddy highs and unsettling lows. The centrepiece is New York, a subterranean ballad that’s either about her breakup with supermodel Cara Delevigne or the death of David Bowie (or neither or both). St Vincent hired Taylor Swift’s producer Jack Antonoff to work on the album, but he never reduces her to a pop caricature – she’s by turns alluring, imperious, vulnerable, playful and, yes, incredibly sad. Lorde beat the second album curse with poetic lyrics and a flair for darkness. Melodrama depicts the messy, awkward business of growing up with an author’s eye for detail (“I overthink your punctuation use,” she tells her lover on The Louvre). The music reflects the turbulence of her love life, soaring and plunging with gut-churning regularity – with the self-lacerating Liability the undoubted highlight. Record company politics nearly derailed SZA‘s album – and the singer (otherwise known as Solana Rowe) briefly threatened to quit music altogether – but wiser heads prevailed, and CTRL finally saw the light of day in June. Her debut is a frank and fascinating insight into the complexities of modern love; of how desire, competition, jealousy, sexual politics, social media and low self-esteem can derail a relationship. The singer deliberately turned down the reverb and echo on her vocals, giving the album an intimate, confessional tone that’s made it a touchstone for fans and fellow musicians alike. Kendrick Lamar made a 180-degree turn from the progressive jazz funk of 2015’s To Pimp A Butterfly, to deliver this skeletal, powerful rap sermon. The song titles, delivered ALL IN CAPS, reference the deadly sins Pride and Lust, as well as Lamar’s post-fame struggles with Loyalty and remaining Humble. But it’s the weight and dexterity of his lyrics that set the album apart – examining America’s political turmoil through the prism of his own contradictions and failings.